Frank Reed, CEO of SWEAT! When we were developing the concept for the SWEAT! 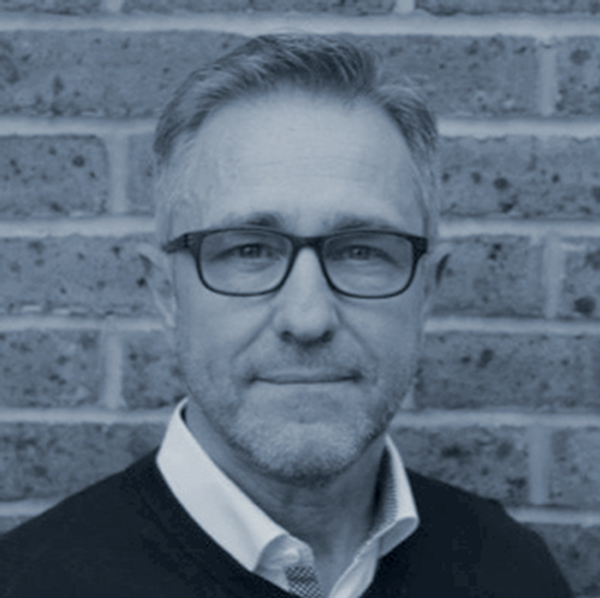 brand, our vision was of a performance-driven, friendly and welcoming gym,” says industry veteran Frank Reed, CEO of SWEAT!. The gym, which launched on 10th September at Debenhams Sutton, is an impressive 17,000 sq ft, split into zones. “We were excited by the idea of having different functions leading off the gym floor, so members could cast their eye over their next workout option and have lots of choices,” explains Reed. Such an innovative gym experience in such a new setting needed an equipment supplier who understood the mission behind the brand. Reed explains why SWEAT! chose Technogym. Technogym’s immersive, connected products became an integral part of the SWEAT! Sutton installation. 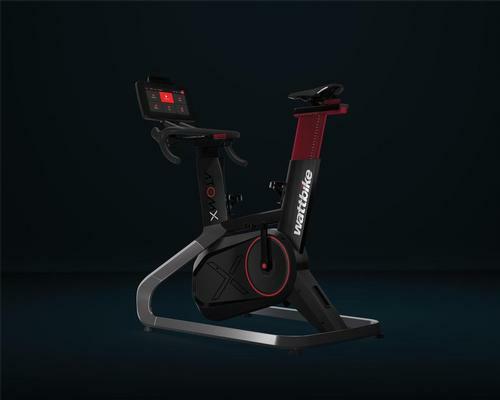 The SKILLBIKE Zone brings competition to the gym floor with three different class types – speed, stamina and power – each lasting 30 minutes and concluding with the race programme. Excelerate delivers a boutique-style training experience, with athletic workouts built on four key modalities and seven primal movement patterns. Members move between Technogym’s SKILLMILLS, SKILLTOOLS and body weight exercises, while Technogym’s heart rate training solution – TEAMBEATS – provides the data. SKILLROW classes bring members together for competitions and camaraderie. All SKILLROWS are connected to a large screen, so users can see their data in real-time. TEAMBEATS is at the heart of this high intensity zone, so SWEAT’s trainers can set up heart rate-driven circuits and manage performance metrics. Members can link their heart rate devices to the system and see their data on the screen. The central OUTRACE rig, with its fully equipped gridded area allows the class to follow a circuit around the 16 stations. It’s not just Reed and his colleagues who love the Technogym kit at SWEAT! Sutton. “I wanted something different and Technogym products aligned perfectly with my vision. Technogym is the most stylish, innovative wellness company” - Frank Reed, CEO of SWEAT! 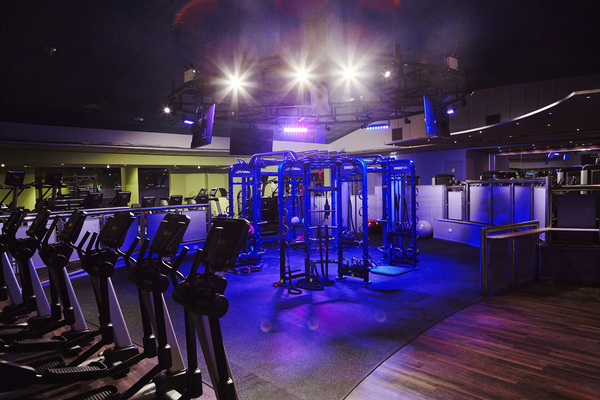 Third Space – London’s luxury health club chain – has opened its fifth club within sight of the Tower of London and just three minutes from Fenchurch Street station. Boasting world class facilities, this is more than a gym. Members can swim in a 20m, light-filled pool, train in the purpose-built gym on state-of-the-art equipment, cycle against a headwind in the tiered cycle studio or even climb a mountain in their lunch hour from the safety of Third Space’s new altitude chamber. Copper, steel and bronze, primal and refined, Third Space City combines serious training with luxury. Features include a spa and pool area in wood and stone, a large multi-function rig built into the building’s structure and light-filled mind/body studios. Swim: Members can immerse themselves in the state-of-the-art pool, with its bronze sculptured ceiling, while the latest ultraviolet technology works to keep the water permanently purified. The spa is a place to recharge and its sculptural, curved ceiling and walls are designed to promote calmness. Mirrored infrared panels provide an even heat for hot yoga in the studios. With a custom-built rig at its heart, the open-plan training space is big and bold: members can join classes, find their space and be inspired. 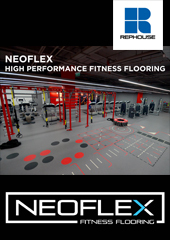 Specialist facilities include the rig and altitude chamber as well as a sled track, Wattbike Zone, combat dojo and HIIT studio. More than a gym, Third Space offers members the chance to ‘mend’ at the sports medical centre, ‘equip’ at the retail offer and ‘refuel’ at Natural Fitness food, with access to meals that have been developed by nutritionists and which are prepared by chefs every day. Members can go deeper into their workout in the cycle studio, riding high for the best view and testing their endurance with headwinds from industrial turbines. Light and sound are designed specially for each class. The next best thing to living on the mountain and the most advanced, natural, sports-legal performance-enhancing equipment to take training and results to the next level, the chamber adjusts oxygen levels up to 3,000 metres to create a harder workout and faster results on treadmills, bikes, x-trainers and rowers. The club has a dual purpose training space that can be transformed into a Dojo. The changing rooms are more boutique hotel than gym, and create an instant impact. Lockers clad in pure copper give a luxury feel, while natural skin and hair products, fluffy towels and a round-the-clock valet mean members can leave the club refreshed, relaxed and ready for the world. Members can also have their gym kit washed and returned to their permanent locker. 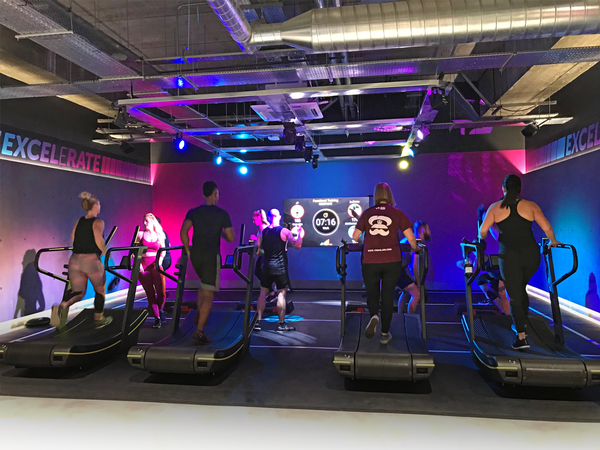 Multi-site operator, Simply Gym, has tapped into the growing boutique trend with the launch of its latest clubs in Uxbridge and Cardiff in partnership with Life Fitness. The new gyms join four existing sites in Wales and the south east which are owned and operated by not-for-profit organisation Bay Leisure, who first launched Simply Gym in 2011 in response to the growing low-cost gym market. 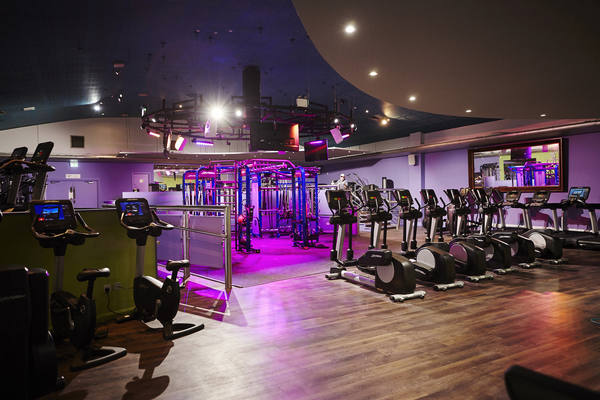 Both the Uxbridge and Cardiff sites have been designed to combine popular elements of boutique facilities – including premium equipment and an inspiring member experience – with affordable memberships to deliver a competitively-priced, yet quality gym offering. Simply Gym’s premium experience is underpinned by its staff training, which is led by the Life Fitness Academy (LFA). Workshops have been delivered in areas such as leadership and management, staff education and programming for unique user demographics, while the operator has also carried out extensive equipment training for staff. The new gyms offer extensive space dedicated to small group training and Olympic lifting. 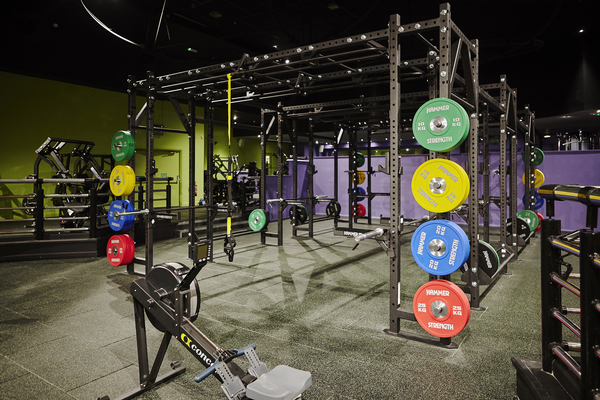 Both are official Hammer Strength Training Centres, with a wide range of equipment from the strength training brand, including the HD Athletic Perimeter which supports individual or group Olympic lifting-style workouts. Life’s Integrity and Elevation series cardio, Insignia series selectorised strength equipment and a range of functional training accessories were also installed. A converted nightclub, the Cardiff gym has retained many of the building’s original features, including raised floor areas and lighting effects to create a unique training atmosphere for members. 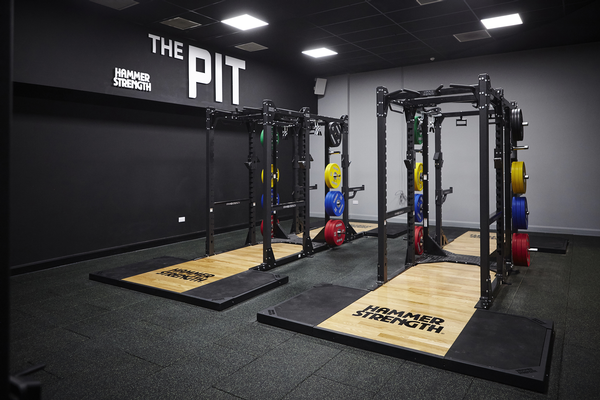 The gym also became one of the first in the UK to install the HD Athletic Triple Bridge, a high-performance rig from Hammer Strength that provides strength, bodyweight and suspension training solutions for group exercise. 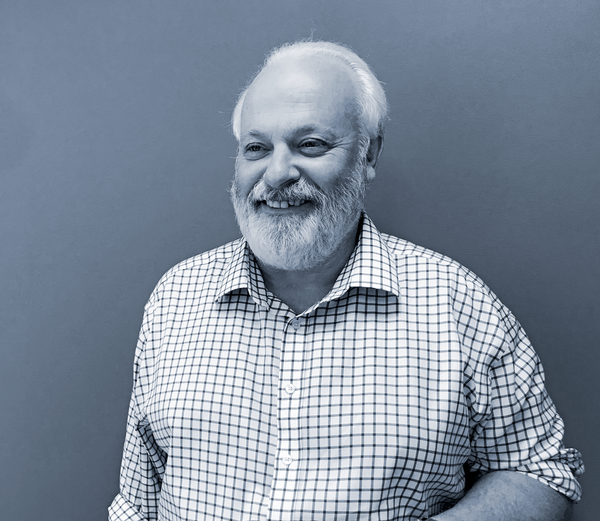 “Hammer Strength leads the way in strength training and world class equipment like the Perimeter and the Bridge help us differentiate from our competition and stay on trend,” says Richard.